Now let's take a look at the process of translating content. I'm going to go ahead and go back to English, since my French is a little rusty. So in Drupal 7 the locale module was enabled and we would go to structure, content types and then edit next to the content type we want to enable translation for. We would go to publishing options and then under multi lingual support we're going to select enabled with translation. I'll click save content type. 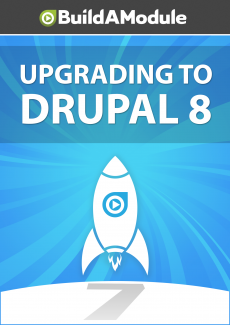 In Drupal 8 to enable it we would go to content language and translation, under the regional and language settings. We would select content, we would set article to translatable, and we can set which particular fields are translatable, which is pretty nice. I'm going to disable everything but the title and the body. We can set the default language in each piece of content, which is also pretty powerful, and I'm going to click save configuration. Now let's translate. So I'm going to our cat roll article here by going to content and then edit next to cat roll evolved, and then we're going to scroll down and we're going to set the language for this content to English from language neutral. And we'll click save and then when we go back to edit we'll have a new translate tab.